The pairing of VESHZA and Dolly Ave is heavenly to say the least - it's a relaxing and enticing combination. 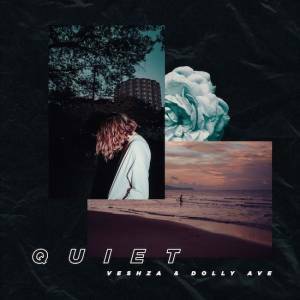 Starting off with a textured and organic background, "Quiet" peacefully picks up when Dolly Ave's vocal melodies are added to VESHZA's hypnotic like beats. There is a unique and laid back flow between these two artists - showcasing each of their individualistic talents. Having said the song was about being misunderstood as an introvert, the lyrics and guitar melodies perfectly capture the emotions VESHZA wanted to convey.